For 21 century, quality of life is more emphasis than before. Electrical home appliance and DIY tools are emphasis on easy and handy to use. Customers expect good quality and economic in price. 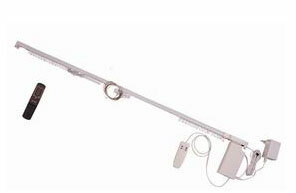 Our product "Remote Control Motorized Window Curtain System" is reliable and safe with reasonable price. 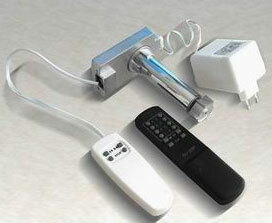 Customers can install the remote control curtain system easily in living room. It is not necessary to find an expert for installation. The curtain window treatment blind of remote control curtain track system is so easy to operate, even elder and child can learn to control the remoted control curtain by using remote control or curtain panel control. The automatic curtain can be opened or closed by hand even the power is off. Each remote curtain controller can operate 8 sets curtain without interference each other. Open and close the curtain by remote control, control pad or manually. Stop at any position along the track by the remote control or control pad. Can be manually opterated while power off. Safe and reliable design witn 12V DC transformer with GS, CE, BS approval.